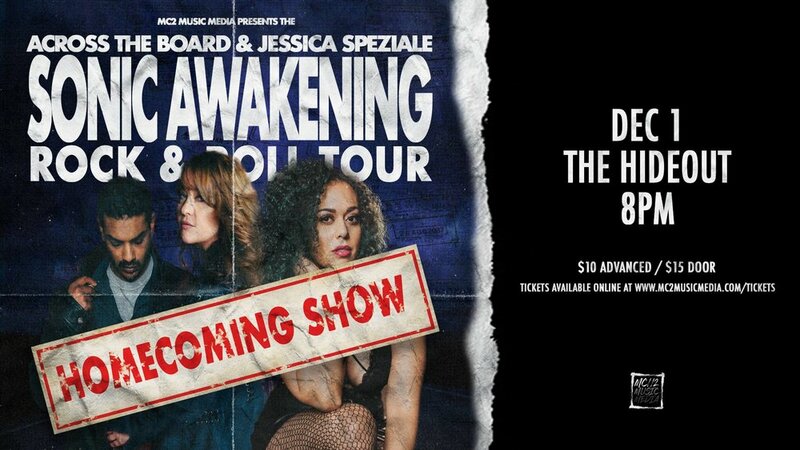 Back to where it all started, MC2 Music Media presents THE SONIC AWAKENING ROCK & ROLL TOUR: HOMECOMING SHOW featuring Jessica Speziale & Across The Board LIVE December 1st at The Hideout in Toronto. Be sure to get yours quick as the last show was a SELL OUT! Across The Board & Jessica Speziale join forces to bring you THE SONIC AWAKENING ROCK & ROLL TOUR 2018!